Choosing the right real estate professionals to help you with your real estate transaction is perhaps, the most important decision you will make when selling property. The more you look around, the more we think you will see why it makes sense to list with Watson Land Company! We don't just sit back and wait for buyers to come to us. We aggressively put your property in the places people are looking! 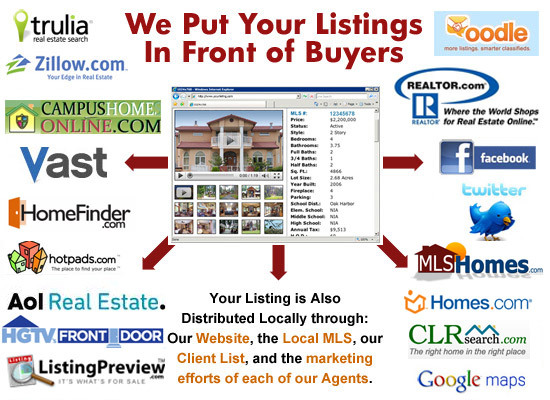 We not only put your listing in the local MLS, but we also syndicate each listing to the KEY popular real estate mega sites that have proven results for driving traffic and interest to our listings and our website. Additionally, we are committed to helping you save time and money by pre-qualifying buyers before they view your property, and when it comes to negetiating the final terms... we're looking out for your best interest. Our team of professional agents is dedicated to providing you with the best in marketing, Internet exposure, and professional salesmanship to bring your property to interested and potential buyers.